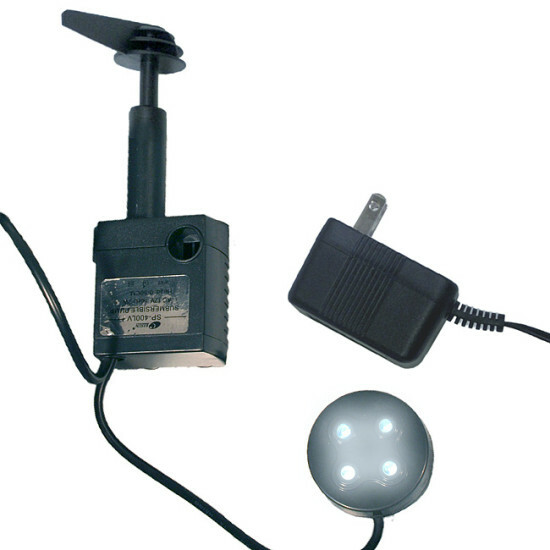 The Platinum Pump with LED Light is an upgrade to the standard pump that comes included with the fountain. This pump allows you to turn the LED light on and off with the convenient switch on the cord, making sure you and your pets can see the fountain at night. This pump has a 90-day warranty.